On Thursday, Namco announced UniteSDK, its new propriety cross-platform technology. During a demonstration on Tuesday night at the Game Developers Conference, Namco revealed Macs, PCs, and mobile platforms like the iPhone will be able to play games simultaneously against each other. 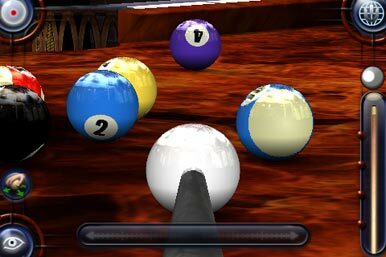 Namco also demonstrated Pool Pro Online 3 for iPhone, which was created using the UniteSDK. Pool Pro Online 3 is now available for $5 at the App Store. Pool Pro Online 3 is the latest in a series of popular pool games. The team that is heading Pool Pro Online 3 is Namco’s Apple Games group-if their names sound familiar, its because they’re behind iPhone games such as Time Crisis Strike, Tamagotchi: ‘Round the World, Pac-Mac, Garters & Ghouls, and more. According to Namco’s press release, Pool Pro Online 3 is an “immersive 3-D pool game” that offers “full fidelity” graphics, ten different halls, three different game modes, multiplayer, and pro shop customization. While the game is meant to be the first of many to use UniteSDK, Pool Pro Online 3 takes full advantage of the iPhone’s touchscreen interface. You can pinch to zoom, touch and drag your finger to manipulate the camera and set up your shot. 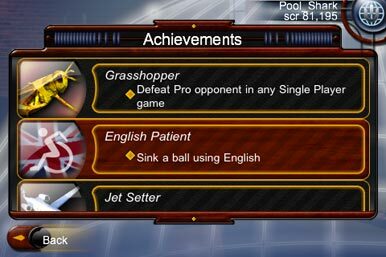 Thanks to a handy slide and release game mechanic, it’s easy to become a pro at snooker, 8-ball, and 9-ball. While Pool Pro Online 3 looks to be a beautiful and well-built pool simulator, the game’s biggest draw will likely be its full online multiplayer support. This is where the UniteSDK technology is meant to shine; regardless if you’re playing on an iPhone or a Mac, you can chat with opponents through a tab in the game. All languages that are supported on the iPhone are supported by the game-a shrewd development move considering the popularity of pool games in Asian markets. You can also gain access to your friends list, make friends, see global leaderboards and achievements. This is Namco’s biggest news at GDC, and it’ll hopefully be a sign of things to come. The catchphrase they keep bringing up is, “Play “Anywhere, Anyone, Anytime.” Cross-platform technology looks to be on the minds of many developers this week, with several competing for press and boasting rights at getting there first. This arms race can only benefit Mac and iPhone users as game companies increasingly seek to gain their attention.